It was a perfect September Day, the sun was shining and there was a light breeze. 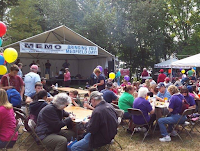 It was our very first booth at Medfield Day and I was so excited to be a part of this. Medfield is a classic New England small town, with a typical town fair. This fun event draws thousands, “It’s like hosting a huge block party,” according to MEMO organizer Russ Hallisey. While it’s a small town, it has a big impact - to the greater Boston area and beyond. So many in this town step up and step out to make a difference; raise money, chair a board, read to students, help protect our environment, provide furniture and food for the homeless, run our local government, preserve our history… all illuminating our world in their own way. Most of the booths relate to our community. We were a little different. Our focus is to the wider world and draws from the indescribable bonds forged in a small town when tragedy strikes and community members step up. So many reached out when my family most needed a village. Meals, rides, yard work, and prayers helped us survive and heal from a horrific event. Despite tragedy, our family was blessed and God’s grace flowed abundantly. So, yes, I was really excited! We were finally out in the community, talking about Amilia’s Light for the first time, explaining how we are paying it forward. We showcased how we're lluminating our world, raising funds for the Empowerment Program and launching A5: Amilia’s Angels, Ambassadors for Anti-Trafficking Awareness. The day could not have been more perfect. Our amazing team, Jackie Collins, Barbara Seeglitz, and Jodi Holman, designed and set up beautiful booth, with our signature colors. There was so much excitement and buzz in the air and we met so many new and old friends. The Ugandan jewelry made by the girls we support was a real draw. We signed up new followers and volunteers and several groups expressed interest in working with us especially with A5. Delia Davis, one of Amilia’s friends from nursery school, was one of the first volunteers to sign up for the program. “I’ve been wanting to do something like this for so long, I’ve been thinking about it for almost two years.” Delia came and spent the afternoon with us, and I had a chance to get reacquainted with her. I’ve seen Delia, just a handful of times, since she was a little girl, playing dolls in my home. It was such a delight to have her brainstorm ideas with me for A5. I’m almost giddy with the possibilities of how this can grow. There were emotional moments as well. I turned to speak to a woman looking at our jewelry, only to realize, it was Amilia’s pre-school teacher, Sharon. Our eyes met, recognition hit, and tears flowed. I have wanted to reconnect to her, but somehow never made the effort to walk back into the nursery school. A new supporter stopped by to talk with our Treasurer, Charlie Peck. I had not met Pete Peterson before, I had only heard him speak at town meetings and read about him in the paper. A man dedicated to the business of our town. After he learned about Amilia's Light and later spoke with me, there were tears in his eyes, and he thanked me for our good work.. That was a real jolt- I never anticipated being thanked, except perhaps from our girls in Uganda. It was humbling, because I just feel privileged to be illuminating our world. 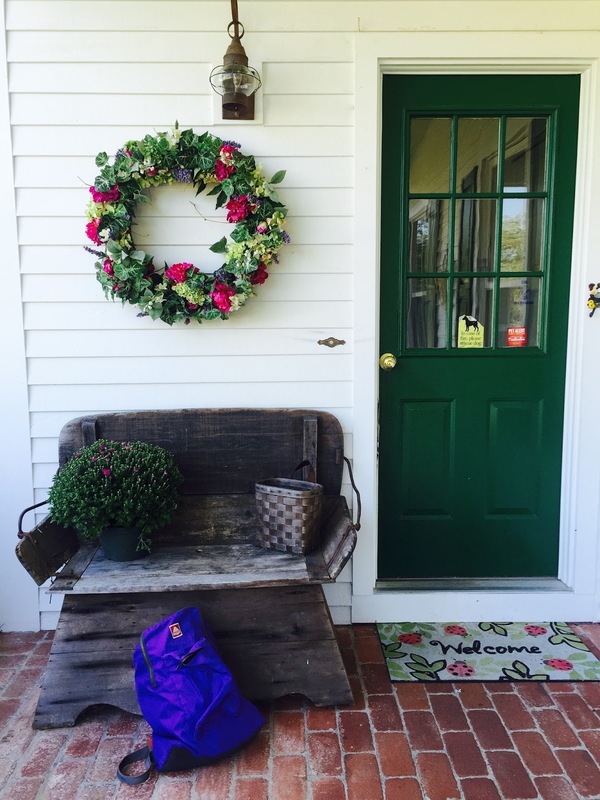 Fall has arrived, summer vacation has come to a close and the new school year has begun. In my house, back to school entailed the obligatory 1st day of school picture. 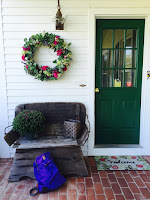 My children happily obliged me, even through high school, wearing their new back to school outfits, sitting on the old carriage bench outside our door, backpacks filled with new notebooks and freshly sharpened pencils, filled with anticipation of what the new school year would bring. This year, I'm especially plugged in to the back to school activities around my town. This September would have been Amilia's last - "first day of school". She would have entered her senior year of high school. We only had an opportunity to take two ‘first day of school' pics of her She joined the ranks of angels, at the end of May of 2003, two weeks before her preschool graduation. I don’t spend much time, thinking of what life with Amilia would have looked like. Instead, I try to emulate her light. It’s why Amilia’s Light got started. We want to Illuminate our World by encouraging people to step up, step out and light up someone’s life. That may translate to sitting down next to a stranger or the less popular kid in the cafeteria and offering a smile or a kind word. It may mean buying a meal for a homeless person, like my friend did just recently. It could involve much, much more. It could mean training for a marathon to raise money for a great cause or mentoring an at risk youth. At Amilia’s Light, it translates to raising awareness about the epidemic of human trafficking and to facilitate organizations working to rescue and rehabilitate youth whose lives have been darkened by it. We continue to fund-raise for the Empowerment Program, our joint project with Destiny Women in Uganda, which will bridge their rehabilitation program, with a business, mentoring, training and loan program that teaches savings and self-sustainability. Since Amilia would be graduating with the class of 2016 we are especially thrilled to announce that we are expanding our programs by establishing two new exciting initiatives. The timing is right- and we’re doing our own stepping up and stepping out! This fall we are developing a pilot program geared for high school students in and around Medfield to help our cause. It’s dubbed, A5, Amilia’s Angels - Ambassadors for Anti-trafficking Awareness, and I can’t think of a better way for Amilia’s friends and fellow students to help us continue to radiate her “10,000 watts of light”! We have some great ideas for this group, such as running an education - prevention program for local areas, producing a video about awareness, collecting used cell phones for reuse for at-risk youth, and perhaps even a mentorship program. We hope you'll put your thinking caps on, and let us know your ideas via Facebook, Twitter, Instagram or email. Stop by our booth on Medfield Day to be part of the upcoming A5 video and join the group. We plan to get started in October. 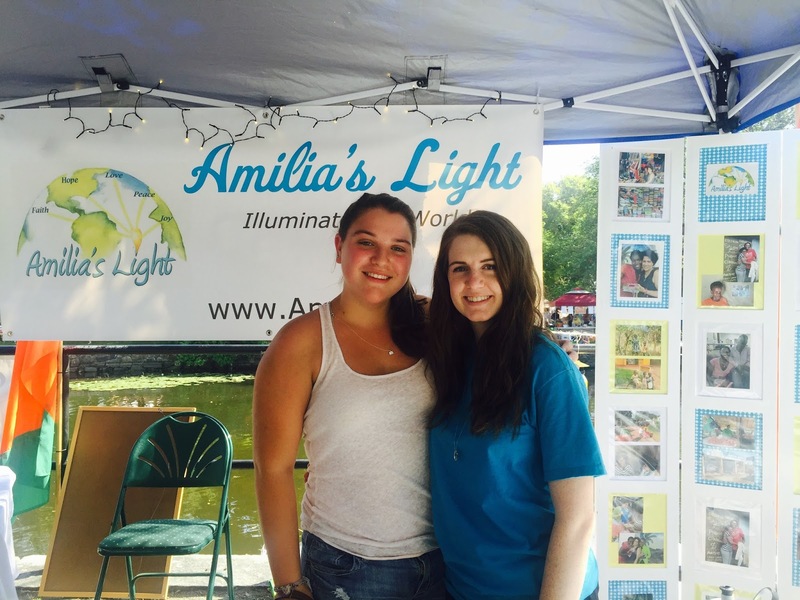 We are so privileged to announce, that we will be awarding the first annual Amilia's Light Scholarship to a qualifying Medfield High School senior. Students who exemplify our core values will be considered by the school’s scholarship committee. More information about the scholarship will be posted in late fall, on our website. 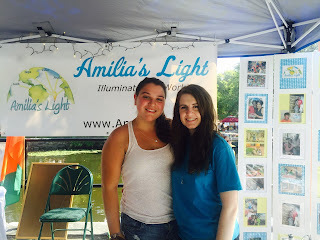 *For more information on how Amilia's Light got started, read "A Spark of Light", my April 9 blog or check out this great article from the Hometown Weekly, http://hometownweekly.net/medfield-charity-helping-girls-across-the-globe-p14602-143.htm.